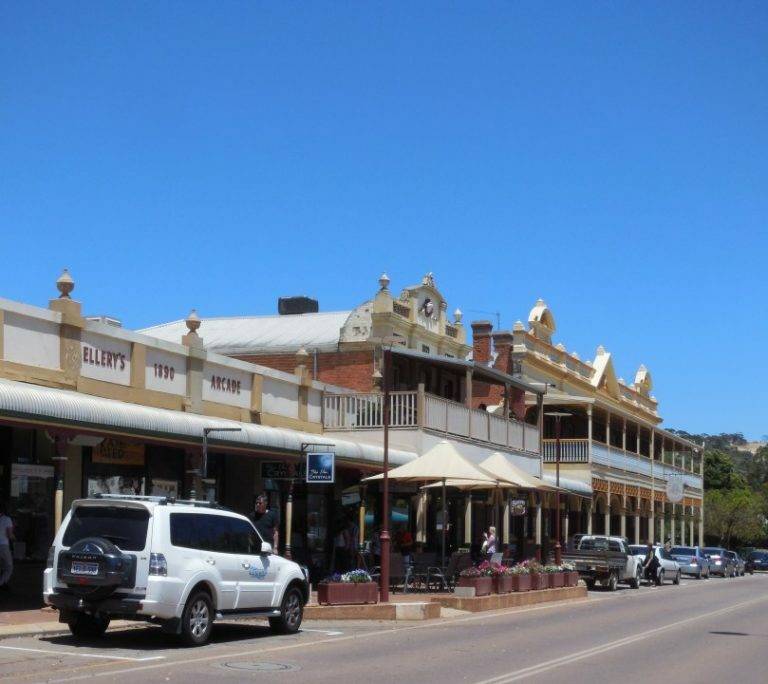 Toodyay is located in the picturesque Avon Valley region, only 80 kilometres north-east of Perth and 38 kilometres from Boshack Outback. Toodyay is rich in history with the main street lined with heritage listed buildings and the Avon river flows through the town. There are many tourist attractions in town. Munch on an award-winning pie at the Toodyay bakery, sip on a cola spider at the cola cafe, stock up on Christmas supplies all year round or step back in time and explore the Newcastle Goal and Connor’s Mill Museum. There are many events held in Toodyay and the town comes to life during this period. Experience days gone by at the Moondyne Festival in May. Moondyne Joe is a legendary bushranger and the town re-enacts many of his escapes throughout the town. It is a free festival and everyone is encouraged to dress up in pioneer costume! Held in June is the Fibre Festival celebrating all natural fibre incorporating animal, earth, and plant. Keeping old traditions and crafts alive and also exploring new ideas. There may even be a bit of street theatre thrown in! Whilst enjoying watching the thrills and spills of the Avon Descent you can tempt your taste buds at the Toodyay International Food Festival. There is a range of cuisine, boutique beer and plenty of entertainment for the whole family. September is the time to get frocked up for the Toodyay Picnic Races. Place a bet on a few horses and listen to live music. Admire art exhibits from some of the locals at Coorinja Winery. The Vino Art Exhibition is a fun day out held in September and admission is free! In October local businesses and producers exhibit their home produce, show their animals and local artists put their creations on display. A great atmosphere, plenty of entertainment for the whole family and the event is finished by fireworks! Held every month the Farmers Markets is a great way to sample regional products and support sustainable living. These are just some of the most popular festivals held in Toodyay and there is always something happening around the town. Why not take a drive in the country and explore Toodyay for yourself?